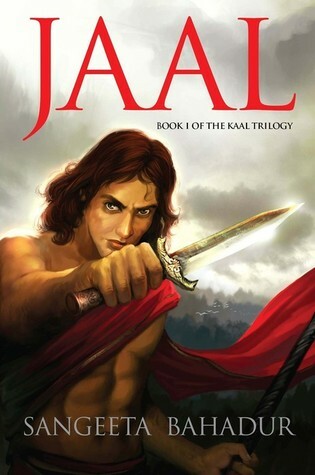 I had picked up the Book One (Jaal) of the Kaal Trilogy in a serendipitous moment in a Bangalore based book store. As I read through I realized that it was more than a novel (in present day fiction standards). Reading Jaal was a total experience in itself. The totally new universe created by the author with its own Pantheon of divinity, super natural beings, mystics and the ever lively characters make for an intriguing and yet a pleasing read. I should mention that this series is definitely not for a racy reader and it demands a greater attention span from the reader while returning a unique experience. Jaal starts with a cosmic situation where the pantheon of the universe is faced with the peril of facing the wrath of Aushij, the wayward God of Maya. Arihant, the protagonist is the nemesis to Aushij chosen by the Gods. But his destiny comes along with a mixed path of obstacles, assassins , devoted friends, enigmatic mentors and breathtaking confrontations. Jaal is about the journey of Arihant as he begins to discover that the idyllic life of his cosy village was not what he was meant for and leaves everything dear to him behind to find the answer to his questions. 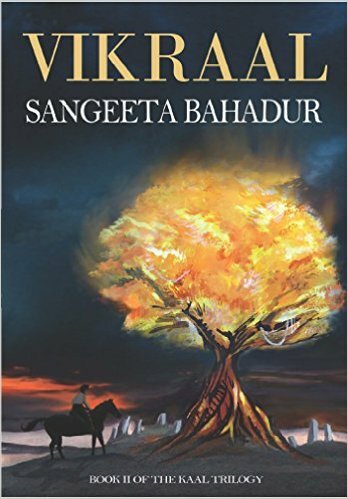 Jaal left me waiting for Vikraal, the second of the series which finally came out in March. The Author Sangeeta Bahadur has made the wait worth it. I could feel the characters growing as the story plot evolved. Arihant grows honing his acquired mystic skills. We find him experiencing new phases of life as he finds the love of his heart. With Jaal, the first book giving sufficient clue for the romantic story that would ensue, I was waiting for it to happen in Vikraal. I expect the reader to be pleasantly surprised as here, the woman is the first to profess her love. Aagneyi’s character comes of as something worth admiration on multiple fronts. Revealing anything more might just spoil the fun. The plot of Vikraal sees the various kingdoms of the continent Hastipeeth becoming aware of the impending conflict between Arihant and Aushij. Adventures and surprises (some pleasant and some not so pleasant) are a part and parcel of Arihant’s journey. We also get to see more of Raudra, the high priestess and warrior on the side of Aushij with her side of the story, intriguing, touching and yet something which stokes fear. Two parts of the book that can awe the reader from a philosophical point of view are the commentary about Vikaaras or what we know as the six internal enemies and the conversation that Arihant has with another mystic entity about discovering his own self. Philosophically, this is a treat to the reader. The name Arihant started to make more sense as I read more about these internal enemies. The physical journey of Arihant would then seem to each of us like our own virtual journey combating our weaknesses in search of the ‘self’ each of us is. Vikraal ends on an almost tragic note while leaving a faint hope for something miraculous to happen in the third book Mahakaal. As a reader I found myself praying for that ‘moment’ and am waiting for Mahakaal to come out soon! Buck up Sangeeta, you have loads of readers waiting I am sure! You can buy Jaal and Vikraal from Amazon. I am so proud of the fact that Indian writers of Sangeeta’s calibre are coming into their own now. I could not agree more on your review of the first book and I cannot wait to read the second now. Do read it. The second one is even more engaging than the first!